Tiger Woods is excited by the different challenge Carnoustie will present as he prepares to contest The Open for the first time since 2015. Woods is finally playing regularly on the PGA Tour with the worst of his well-documented back issues seemingly behind him, and the 14-time major champion is looking to win the Claret Jug for a fourth time, having prevailed in 2000, 2005 and 2006. His two previous Open appearances at Carnoustie saw him finish tied-seventh in 1999 and 12th in 2007, but an unexpectedly hot summer in the United Kingdom has seen the fairways at the course speed up significantly, adding another layer of intrigue to the third major of the year. Woods has no doubt over his ability to perform on a links course again, rejecting talk of him potentially having to “re-learn” links golf. “I have played in so many Opens but also so many links courses in my career,” Woods said in quotes reported by the Guardian. 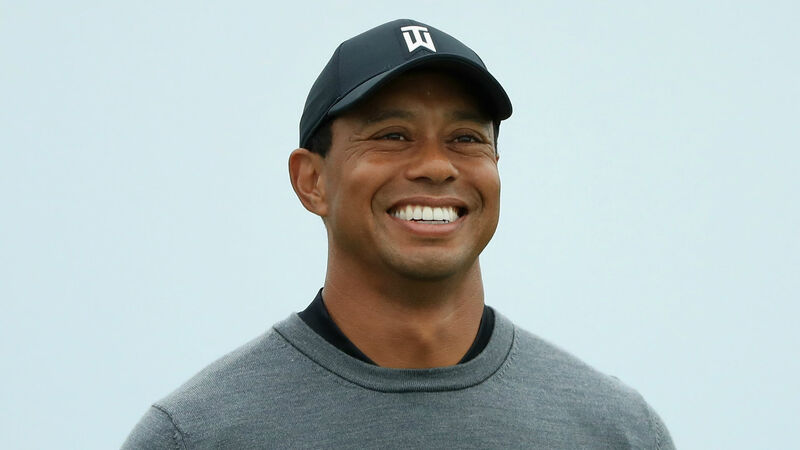 On his return to The Open, Woods added: “It has been a while and I’ve missed it. This is the oldest tournament we have in our sport. I have my name on the trophy a few times so that’s pretty cool. To come out here and play in the Open Championship is always good. “And then coming here to Carnoustie, it is special. This is my fourth time playing it as a tournament. From my first time coming here as an amateur to being back now, it’s just amazing how this course doesn’t change. It is right in front of you, it is hard; it’s probably the most difficult one we play in the whole rotation. “Right now the fairways are faster than the greens. I am sure they will probably speed the greens up a touch but I’m sure this will be one of those weeks where the fairways are a little quicker than the greens. “It is mainly about trajectory. You can get the same numbers with different trajectories. That’s what is going to be important, how hot you want the ball coming into the fairways. You can really make the ball roll 60, 70, 80 yards; is it really worth it or not? Some of the holes; can you carry bunkers?